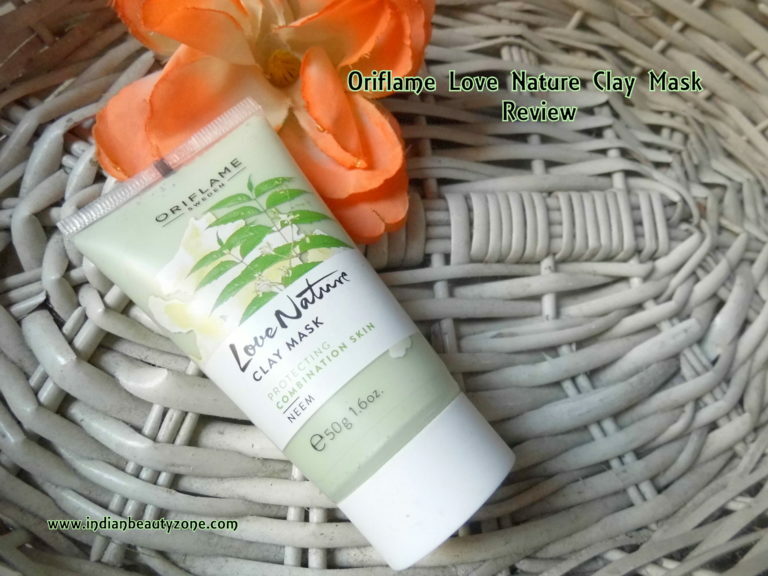 Oriflame Love Nature Clay Mask Neem is designed for acne prone oily skin and combination skin to clear clogged pores, washout impurities and gives a bright and soft, clear skin. 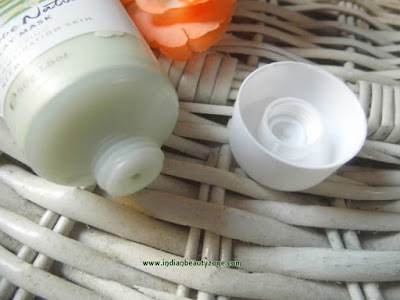 The colour of the product is pale green, The Smell of the product is bit unpleasant but it is ok, The texture of the product is like a paste and creamy too. It comes in a tube packaging with scroll open lid and it is travel and user friendly. I have used it weekly thrice to treat my tiny pimples overall my face. 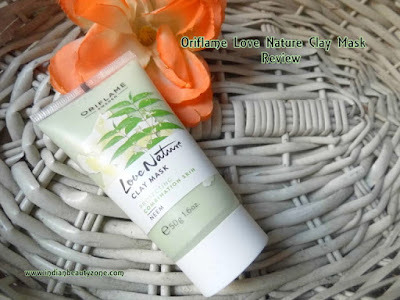 It is easy to apply and it gets dried easily on my oily skin. It doesn't dry out the skin after washing and there is no itching or tingling sensation after applying it on face. I don't find any redness on my sensitive skin. It gives soft skin after washing. But regarding pimple reduction I don't see any immediate results and yes they got reduced but didn't completely gone. I don't know which one to blame whether my stubborn pimples or this face pack? Still I am ok with this face mask and it does decent work on skin and I hope it will be very useful for oily to combination skin people. During washing it creates bit mess and feels slippery, it is better to wipe it off by a cotton cloth and then wash it. 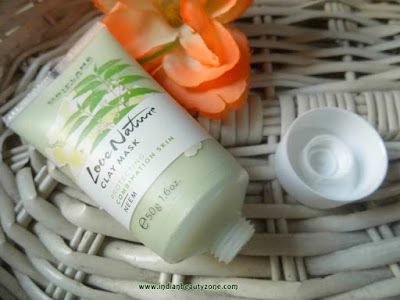 It clears clogged pores by regular use. To maintain the skin clearly one can use this face mask regularly and it will be effective. It is natural and has neem's goodness. The one tube comes for long time. It has goodness of neem. It doesn't dry out skin. 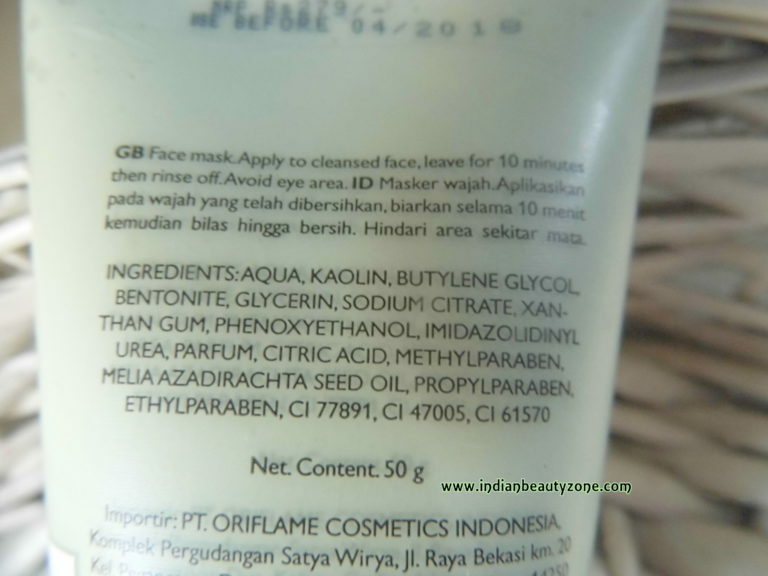 It is very helpful for oily to combination skin. It gives soft skin after washing. It feels fresh after washing. Neem acts as antiseptic ingredient for skin. 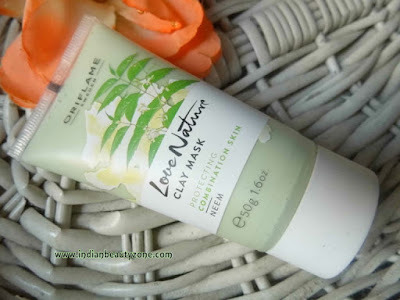 Oriflame Love Nature Clay Mask Neem is a decent face mask for oily to combination skin to clear clogged pores and keep the skin clear on a regular basis.